What I Learnt From Steve Jobs..
As you might have already known Steve Jobs passed away last week and I was just in shock when I found out about it from Stuart. I’ve always been in admiration of great entrepreneurs like Steve Jobs, Bill Gates, Oprah Winfrey, Warren Buffett.. simply because they KNOW what they want to achieve and they go all the way to achieve it. One thing drives them: PASSION. Calvin and I watched countless of presentations by Steve Jobs through the videos which were highly shared on Facebook in light of his passing. And that kinda led on to watching videos by Bill Gates and then Oprah. One word seems to have come out of their mouths every single time – PASSION. I believe passion is really an unexplainable force that DRIVES one to achieve excellence in a particular area in life, seemingly a strong area of interest. This force comes from within and makes you love what you do and makes you unstoppable. But somehow I feel that my passion is not aligned with what I’m doing yet. Or I’m not doing what I really love to do and that means I’m not unstoppable yet. I know that this may throw some people off and make them go like –“What?? You have problems with your passion?? Are you sure you’re not doing what you really love to do? ?” and I probably lose some “fans” in the internet marketing scene too.. 😛 if there are any..
Discovering your passion will serve you well and push you towards excellence. And that is what my daily task will be from today onwards — to commit more time to doing what I love. Only when I’ve started doing what I really love will I then find my passion and purpose in life. And lead a life which I will not regret living, even if I were to die today. That’s what I learnt from Steve Jobs this week. It’s 1 week to Christmas, 2 weeks to 2009 and 3 weeks to my birthday!! Should I Consider Doing Lasik Surgery? Internet Marketing is NOT for the faint hearted.. 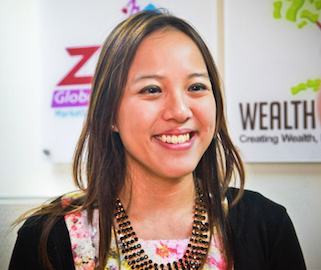 I'm Patricia Lin, an entrepreneur since 2007. I write my thoughts and learning lessons about life, business and relationships in here. I hope my life serves as a testimony of God's work in me and hope my stories inspire you to live life to the fullest and to achieve what your mind can conceive! Carpe Diem.